Dubai: Thirty Dubai and Sharjah residents were pleasantly surprised after being stopped by police to be awarded with Dh1,000 for safe driving. 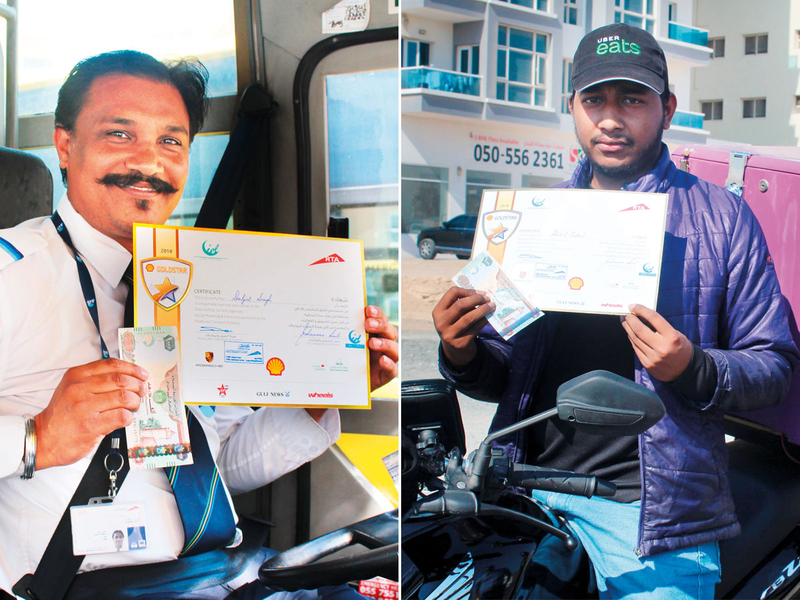 Shell launched a road safety initiative from November 26-28 in Dubai and Sharjah to reward cash prizes to drivers, pedestrians and cyclists who follow good safety behaviours on the road. Drivers were selected for following a variety of road safety practices, such as using seat belts, staying off the phone, lane discipline, using child safety seats, using indicators and observing speed limits. For others, it was the use of designated pedestrian crossings and road traffic safety practices to reduce risk associated with cycling. Winner Fadi Shibly, 28, from Syria, said he was on his way to Al Arab Mall to do some shopping when he was stopped by police. The Dubai resident, who works in a gym management firm, said he was jokingly told by the police officer that he was being fined before he was handed an envelope with Dh1,000. “When police stop you on the road, you assume you have made a mistake. Of course, I was shocked when I was awarded the prize money,” he said. Shibly plans to use his prize money over the long-weekend on shopping and food. Just the same, stay-at-home mother Lian Al Farji from Syria, said she will be using her prize money to spoil her four children over the long weekend. “I was on my way to Al Etihad Mall to buy sponges, when a police car indicated that I should stop on the side. I was so worried and didn’t know what I did wrong, so I was convinced that it was because my car was dirty,” said Al Farji. She was quickly relieved when she was congratulated by the police officer for her safe driving. Roshanara Sait, Director, Ciel Marketing & Events and founder of the GoldStar campaign, said he was pleased with the outcome of the campaign and the message it delivered to the community. “As creators of the GoldStar campaign, we’re extremely proud of the impact it’s had since we instituted it over 20 years ago. Not only on those who’ve won its signature on-the-spot cash prizes for good driving, but also on the many thousands of others its message of road safety has influenced,” said Sait. 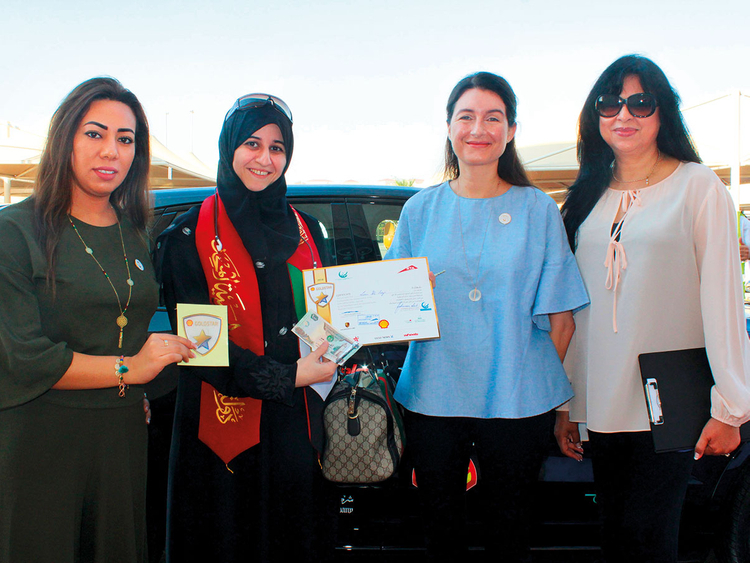 In support of the UAE Vision 2021 National Agenda that aims to reduce the number of road deaths to three per 100,000 residents by 2021, the Shell GoldStar Contest encourages road users to incorporate good safety habits into their daily routines.